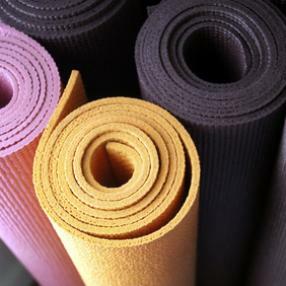 Restorative Yoga is a quiet practice known for reducing stress and improving sleep. It starts from the basis that less is more. It offers an opportunity for slowing down in longer stretches and deeper relaxation to restore and renew! £40 for course. Feel free to contact me for further enquiries. Class suitable for older adults, those recovering from injury or illness. Also ideal for pre natal yogis. Good for beginners or people wanting to take the class at a slower pace. Helps to build strength, improve mobility and flexibility and helps balance, sleep, patterns whilst reducing symptoms of anxiety. Lovely friendly crowd of yogis and very informal. Nourishing practice for mums to be, with birth prep and relaxation/meditation. A luxurious, slow, deeply restorative class. We start with some relaxation perhaps even with a short yoga nidra practice then move slowly into some asana works together with greater breath awareness and at times, guided pranayama. A small friendly class suitable for everyone who'd like to practice more gently. Ideal for people with stress related aches and pains. Yoga class which focuses on make you feel more grounded and comfortable in your changing or changed body, through the use of postures that safely stretch, strengthen and relax your body. A small class which ensures plenty of personal attention and guidance on suitable variations. The Monday Restorative Yoga class is a deeply nourishing practice designed to restore and rebalance and is open to all. Perfect for those new to yoga or in need of self- heling to rebound from the stresses of every day life, illness, injury. In an every more fragmented and fast-paced life, yoga is the anchor to develop the mindfullness to navigate life's changes. The class is a gentle and safe practice using asana (postures), pranayama. (breathing), and mantra (positive affirmation). Every class is different and helps you build a wellbeing 'tool kit' to use off the mat. This is gentle but effective yoga for chronic pain - such as back ache, sciatica, or neck, knee and shoulder pain. It is beneficial for recovery from sports injuries, accidents and surgery. We target specific muscle groups whilst strenghtening and aligning the whole body structure, and soothing and repairing the nervous system through yoga breathing. This class is suitable for blood pressure and cardiovascular issues. It is also perfect for postural, core strength and alignment issues. You'll benefit from relaxation and meditation techniques that you can put to daily use. Meet new friends, and enjoy a healthier mind, body and outlook on life! ~Kriya Yoga – ancient Vedic knowledge passed through generations, science of breath and movement, focused on recharging the body with oxygen, slowing down the ageing process, rejuvenating the brain and spinal centres and transforming mind and body. Lola naturally integrates and teaches elements of Reiki and Qigong (Tao Cosmic Healing) into her classes to share with practitioners invaluable healing skills, given to us by nature. A more gentle and restorative in nature yoga class. Each week we explore and focus on different themes with the aim to allow your mind and body achieve a sense of balance and peace. 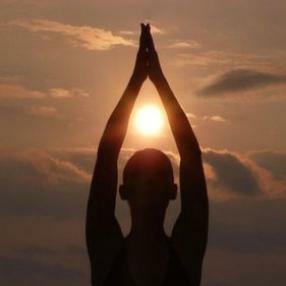 Teaching incorporates asana (posture) practice, pranayama (breathing) and relaxation. With modification and progression options, this class is suitable for all levels. A 90 minute class including yoga nidra, mantra, pranayama, mudra, bandha, asana and meditation. Anusara Yoga means to 'flow with grace' and the focus of this style is on good physical alignment in order to 'align with the Divine'. It is a strong physical practise with the spiritual aspects of tantric yoga philosophy woven into both the theme and physical postures of each class. Expect to feel exhilarated and re-connected after each class, remembering that life does have both purpose and meaning and we are all each unique expressions of that which created us. Anusara is also very focused on building a community spirit as we are all aspects of the same creative force, so our classes are welcoming to newcomers and lively too. These classes build from foundation to full expression of each asana (yoga posture), so everyone works to their own ability in a friendly and non-competitive environment. As this class is very dynamic, if you are new to yoga or are looking for a more gentle yoga class please have a look at our Beginners Courses and Gentle Yoga classes. We do not recommend this dynamic class to those who are less than 6 months post partum, or those who do not have a reasonable level of fitness as the yoga is strong and physically demanding and will get your heart pulsing! This is a level 2 class. InJoy! teachers all have a special interest in therapeutics so people with sore backs, hips, knees, shoulders, sciatica and other ailments can come and learn how to ease discomfort and develop habits that will increase their wellbeing, fitness and overall health. All InJoy! classes incorporate asana (physical) practise with pranayama (breathing exercises), nada (sound) yoga, meditation and relaxation whilst engaging in community and developing courage in manifesting your dreams! This is non denominational yoga for men, women and teenagers offering a PERFECT BALANCE for fitness fanatics and valuable ME TIME for Mums! 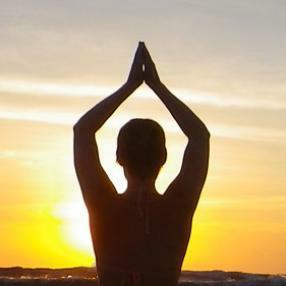 STRONG YOGA AND DEEP RELAXATION which is aligned with bliss, peace and joy for life. * Tone your body, embrace your emotions, calm your mind and heal your spirit! * Ease tight muscles, mobilise stiff joints, go with your flow! * Create your life experience with strong intention and BE PRESENT in NOW!